If you’re going to purchase a dream home in Bonita Springs, you should have it inspected by a professional home inspector. Because every home possess some defects that can create serious financial or physical threats. At Coastal Home Inspectors, we provide you the best services of Bonita Springs Home Inspections to make sure that you will never face any kind of surprise issue with your home. Our professional home inspector thoroughly inspect your home and give you information that you need to make an informed decision about the final purchase. They explain you about different components of a home and educate you for maintaining it in good condition. 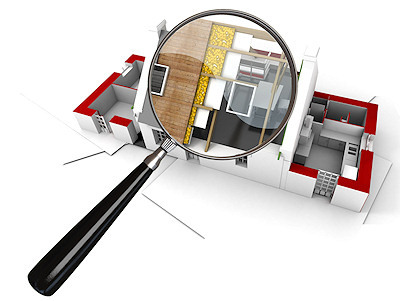 Why Home Inspections Are Essential? Buying a home in Bonita Springs is quite exciting but it also involves many risks and complications. A Bonita Springs Home Inspections service by a Bonita Springs professional home inspector protects your investments and gives you a satisfaction that you’re not buying a home with major defects in its components. Be clear every home have some defects that may vary from home to home. A home with damaged roofing system can be dangerous for you and your family or a home with a fresh coat of paint can hide serious defects like cracked walls. So it becomes very necessary to have your home inspected before signing the final agreement. At Coastal Home Inspectors, our licensed home inspectors take good care of your needs and requirements by giving you the efficient services of Bonita Springs Home Inspections. They have proper training and skills to inspect any kind of your property very effectively. They answer your questions and concerns and give you important tips to maintain your home’s condition. They invite you to be present during the home inspections so that you can have an exact idea of what you’re going to purchase. In thorough service of home inspection, we examine your home from all aspects and components from top to bottom and nook to cranny. We examine your home for its roofing system, plumbing system, electrical system, air conditioning system, water heating/cooling system and all other appliances like hydrants, doors, walls garages etc. In thorough Bonita Springs Home Inspections service, we make sure that no item is left behind from inspections so that you can comfortably make an informed decision about the home’s purchase with a peace of mind. A home inspection report is documented form of our findings in which you’re informed about the condition and structure of your dream home. Our professional home inspector makes you inform about repaired items as well as safety and security issues. We advise you to don’t buy a home without a home inspector. If you’re looking for Bonita Springs Home Inspections, Coastal Home Inspectors can give you best services of home inspections at very competitive rates.